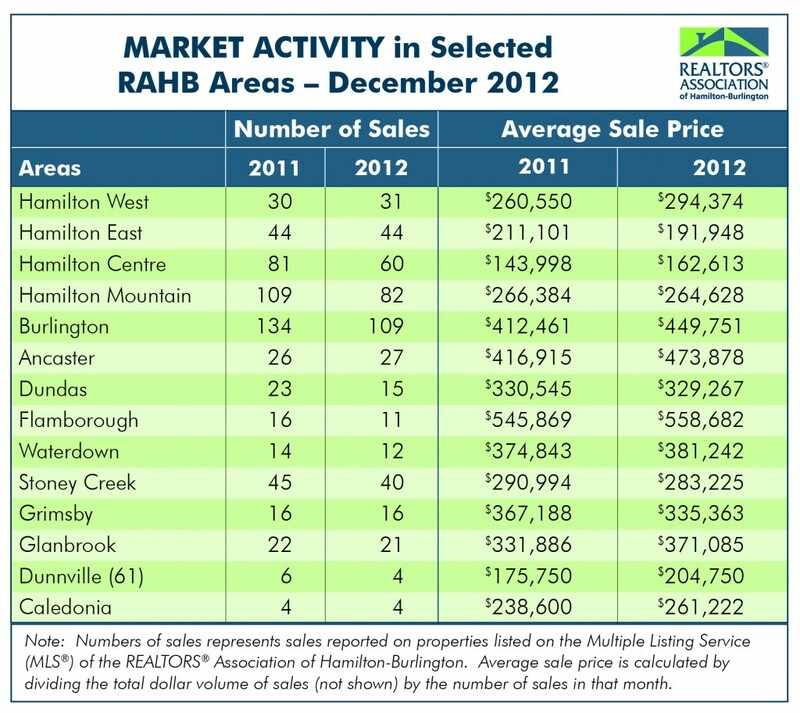 January 7, 2013 – Hamilton, Ontario) The REALTORS® Association of Hamilton-Burlington (RAHB) reported the residential market saw an 8.3 per cent increase in average sale price in December compared to the same month the previous year. The median sale price also saw gains over December of last year. Seasonally adjusted* sales of residential properties were 11.5 per cent lower than the same month last year, with the average sale price up 6.9 per cent for the month. Seasonally adjusted numbers of new listings were 5.9% per cent lower than the same month last year. Actual overall residential sales were 14.2 per cent lower than the previous year at the same time. Freehold residential sales were 11.8 per cent lower than last year and the condominium market also saw a decline in sales with a 23.2 per cent decrease. The average sale price of freehold properties showed an increase of six per cent over the same month last year, while the condominium market saw an increase of 5.6 per cent when compared to the same period. 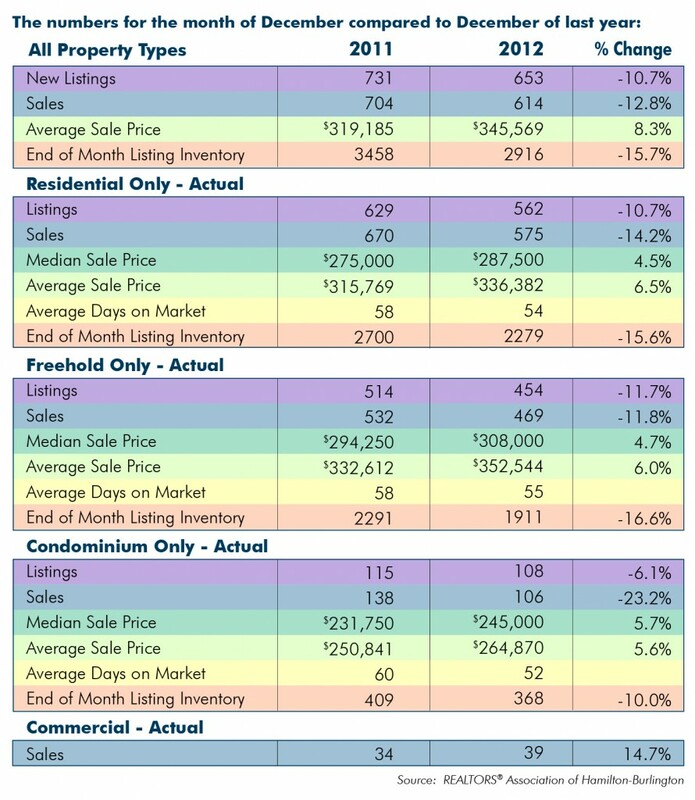 The average sale price is based on the total dollar volume of all residential properties sold. Average sale price information can be useful in establishing long term trends, but should not be used as an indicator that specific properties have increased or decreased in value. 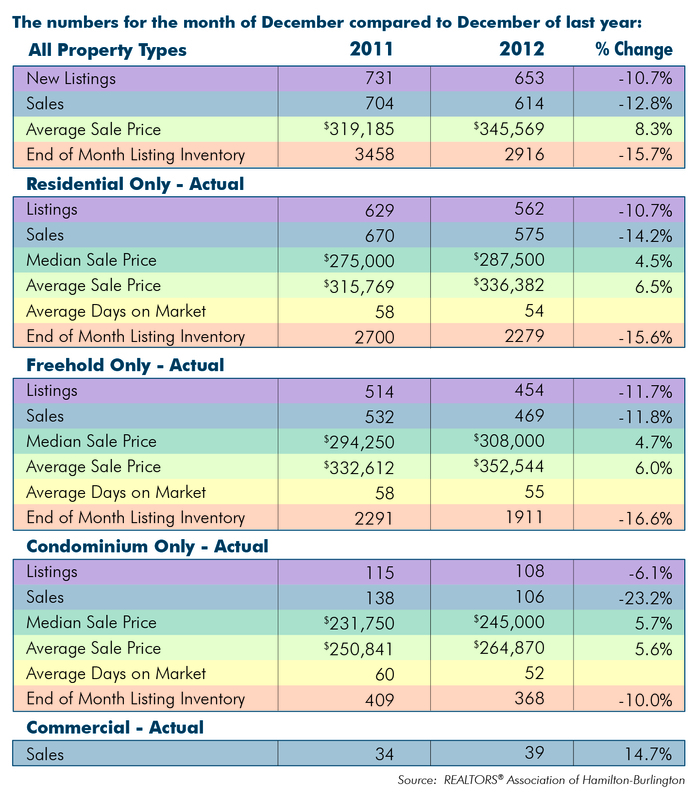 The average days on market dropped from 58 days to 55 days in the freehold market and from 60 days to 52 for condominiums. Every community in RAHB’s marketing area has their own localized residential market. 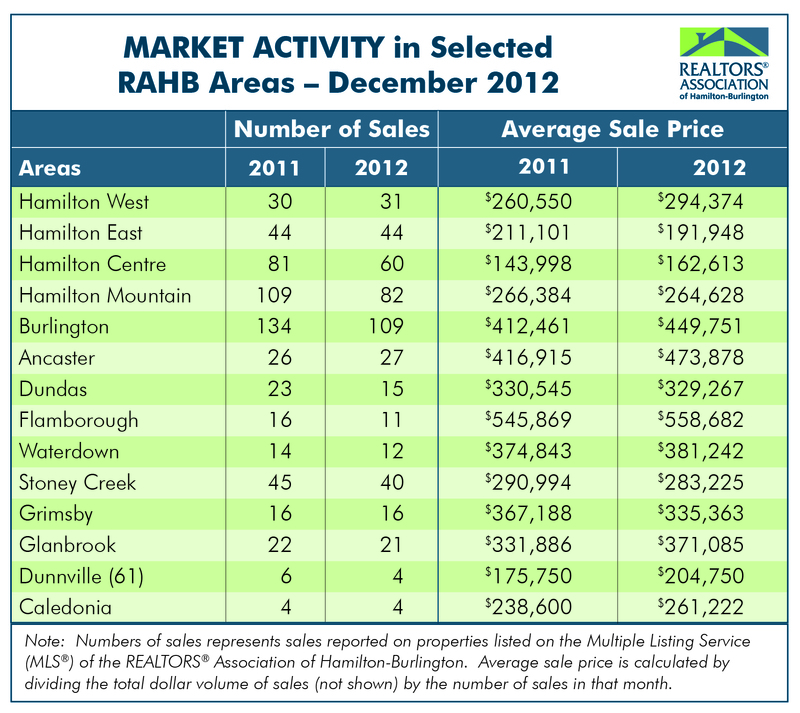 Please refer to the accompanying chart for residential market activities in select areas of RAHB’s jurisdiction.